At Rock Water Farm we often work with existing projects that require renovations. Whether it’s redoing a patio or rehabilitating a landscaped area, we can make improvements that make a huge difference in the overall look of the landscape. 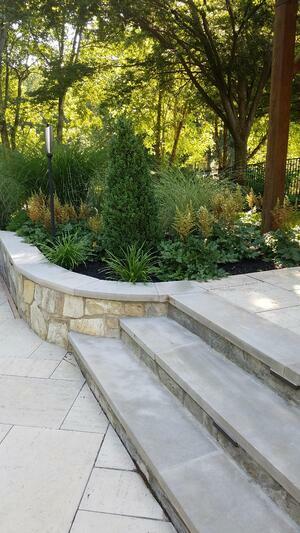 Recent landscaping in Great Falls, VA that we completed is an excellent example of a landscape renovation in which we completely transformed a property and also made vital repairs. The client’s landscaped beds had been completely torn up by a pool they had renovated by a local pool builder. Like most pool companies, the builder was primarily focused on the pool itself—and that’s fine, because it’s what they do. But this often means the surrounding landscape is not given any thought and may also get torn up in the installation process with no repair plan. 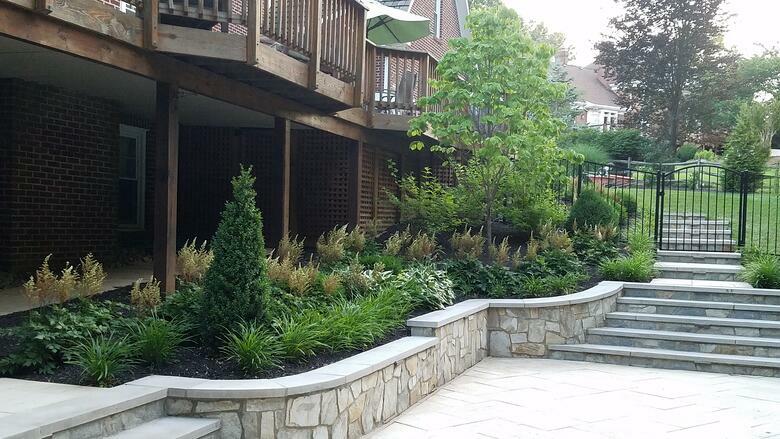 This particular client wanted a beautiful landscape surrounding her pool area. She not only wanted the damaged landscape repaired but wanted something beautiful installed. The client was looking for a “modern look” but didn’t want a full-blown garden. We created an appealing landscape design that had clean lines and complemented the pool nicely but didn’t go overboard in terms of too many plantings. One of the unique challenges in achieving their wish list was the fact that the client wanted color but didn’t want any flowers as they wanted to deter bees from the area. We met this challenge by utilizing a variety of colors of greenery and a lot of differently textured foliage. It made for a unique and interesting landscape even without blooming flowers. While restoring and improving the landscaping at this Great Falls, VA home was one of the main reasons we were called in, before we could begin any of that, we also had to solve a major drainage problem that was unrelated to the landscape renovation. After a storm, water was rushing down the driveway from the neighbor’s yard and ultimately became a mud river that was winding up in the newly renovated pool. This muddy water was clogging up filters and becoming a costly mess. We solved the drainage issue by directing the water away from the pool and through a series of drainage solutions that carried it away from the landscape. Of course, a big part of the reason we were there was for the landscape design. But addressing that water drainage problem quickly became a primary concern. It was impacting the client's enjoyment of their new pool and becoming a very messy issue. By correcting the problem, we were able to really enhance their overall enjoyment and use of the space. This particular case study is an excellent example of how renovation work can enhance and even repair problems in an existing space. But it’s also important to mention that we do handle projects from scratch, including complete pool design and installation. While you might think you need to hire a pool builder for your pool project, the truth is a company like Rock Water Farm, which does complete landscape projects—including the pool—is a more comprehensive solution. Since we not only handle the pool design and build but also the surrounding landscape, your finished product is truly a finished product. You won’t need to call in another company to repair the yard or create landscaping around the pool. We do it all from start to finish and when we’re done, it’s fully complete. Because we’re focused on a comprehensive solution, we also take potential concerns—like a possible drainage issue—into account from the very beginning. As landscape design professionals, we understand the surrounding landscape and related issues that could arise and we take the proper steps to prevent them. Our understanding and knowledge of the landscape is a differentiator that sets us apart from the local pool builders in our region. 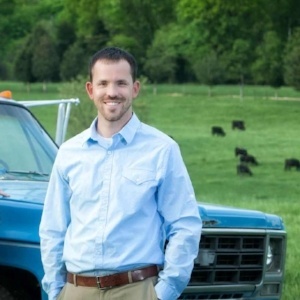 At Rock Water Farm, we want to be your one-stop shop for all your outdoor needs. We can handle all facets of the project. If you’re interested in landscaping for your Great Falls, VA home, or surrounding areas like Ashburn, Aldie, and Leesburg, we can help. At Rock Water Farm, we’re in the business of making backyard dreams come true. 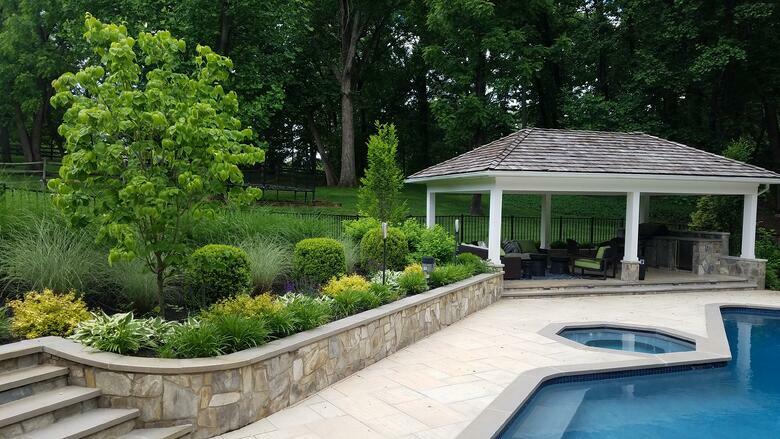 If you’re interested in learning how we can help you on your next backyard, project, contact us for a free consultation or give us a call at 703-327-1636 so that we can answer any of your questions.